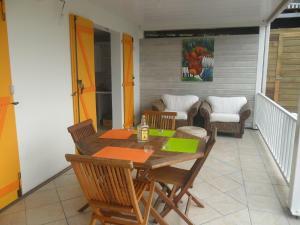 ﻿ Best Price on Le Panoramic in Les Trois Ilets + Reviews! 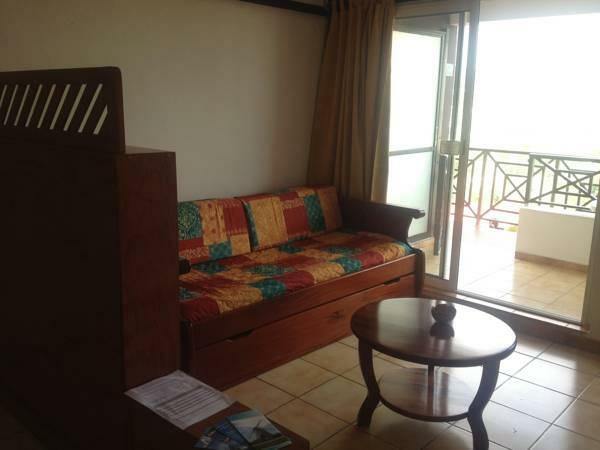 Le Panoramic in Trois Ilets offers excellent views of the hills and Fort de France Bay. Guests at this hotel enjoy a private outdoor swimming pool, free WiFi and free breakfast for the first morning. Each air-conditioned studio and bungalow at this property comes with an equipped kitchen, as well as a seating area with a sofa and a hertzian TV. There are also ironing facilities and a telephone for your best comfort. 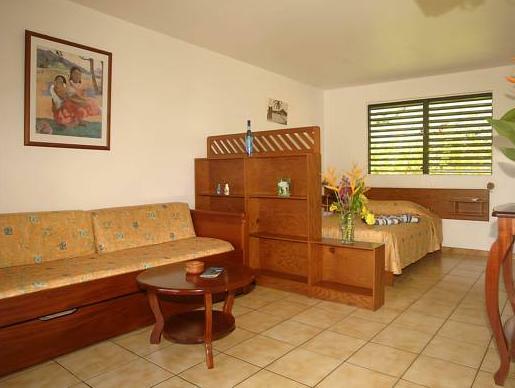 The rooms are cleaned twice a week, while additional maid service is available at an extra cost. Guests will find restaurants serving French cuisine and local dishes within 1312 feet of Le Panoramic, while more international dining options can be found within 12 mi of the property. The first breakfast will be placed in the guest's room before arrival. The property is only 984 feet from a beautiful white-sand beach, and the area also offers shops and outdoor activities like water sports and tours. Other interesting activities available are golfing at the golf course designed by Robert Trent Jones, horseback riding, and visiting the local museums and exhibitions. Martinique Aimé Césaire International Airport is 16 mi away. Please note that 21:00 is the check-in deadline for reservations made the same day of check in. A damage deposit of EUR 200 is required on arrival. This will be collected by credit card. You should be reimbursed on check-out. Your deposit will be refunded in full by credit card, subject to an inspection of the property. Guests are required to show a photo ID and credit card upon check-in. Please note that all Special Requests are subject to availability and additional charges may apply.